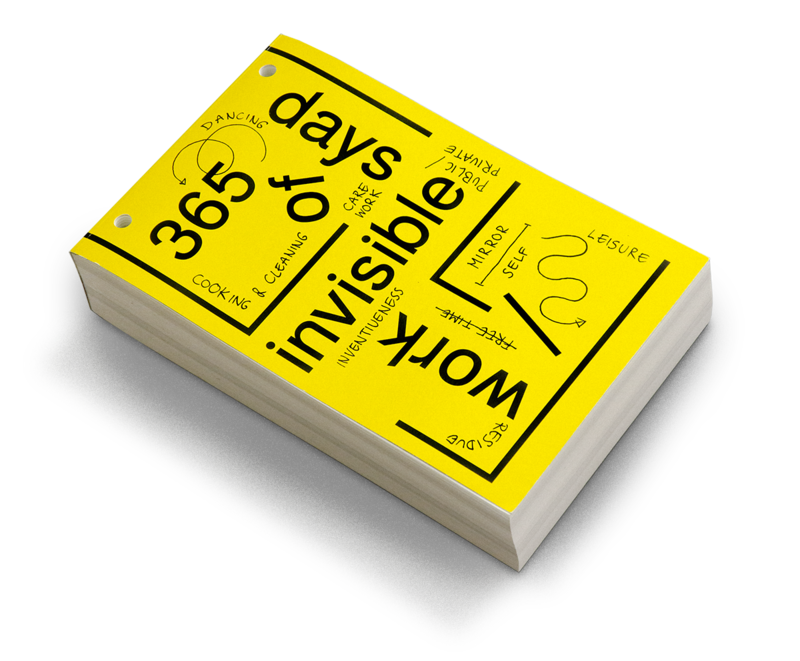 365 Days of Invisible Work is currently only available for sales with shipping destinations in Europe. For worldwide shipping, please refer to Casco or Spector Books. 365 Days of Invisible Work is a compendium of political representations of domestic work collected by the Domestic Worker Photographer Network, an online community of amateur photographers made up of migrant workers, gardeners, dishwashers, artists, teachers, and many more. Organized as a calendar, 365 Days of Invisible Work is dedicated to making visible the myriad labours negated by oppressive capitalist structures by highlighting the daily work of cleaners, mothers, interns, care-givers, and many others! The network drew name and inspiration from the international Worker Photography Movement of the 1920s and 1930s, the first amateur photographers using cameras to represent the lives and conditions of workers. In that spirit, 365 Days of Invisible Work collectively re-thinks today's living and labour conditions, starting from the routines of domestic maintenance and care. Conceived during the Grand Domestic Revolution, organized by Casco — Office for Art, Design and Theory, Utrecht, 365 Days of Invisible Work is the third edition of the Werker Magazine series initiated by artists Marc Roig Blesa and Rogier Delfos. Werker 3 — Domestic Worker Photographer Network, Bilderkritik and 365 Days of Invisible Work are supported by Stimuleringsfonds Creative Industrie.